North Island, Seychelles. 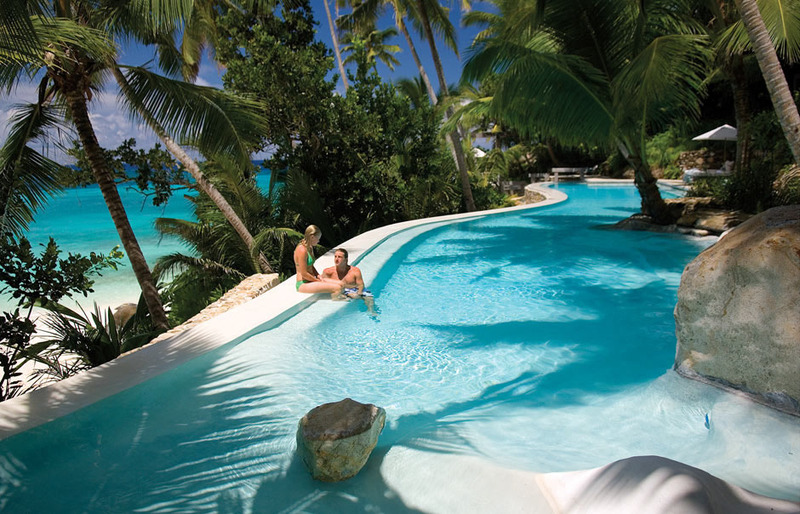 The resort occupies whole North Island. This pristine site is a true sanctuary for those, hungry for a divine retreat. The island literally serves as Noah’s Ark: various local species are being preserved here and conservation is a very important part of the resort. The scrumptious white soft sandy beaches, turquoise water of the Indian Ocean attracted none other than the royal couple: Prince William and Kate Middleton spent their honeymoon here. The resort provides 11 private villas, scattered around the island to ensure privacy of the guests. The staff is always there to assist, but guests feel that they are on their own private island. There are no schedules or menus: food is discussed prior the vacation and served at your convenience and you can use the facilities whenever you wished. Guests can explore the island by bikes, buggies or kayaks. The must visit spot is the tortoise museum, where you can observe the oldest inhabitants of North Island. Eco-friendly resort, luxury and great service guaranteed, pristine nature, utter privacy, customized experience. By a helicopter transfer from Seychelles International Airport. Ever thought of going to Beautiful Costa Rica? To Expensive? when you use Coastal Vacations Travel Membership!! Located at Bahía Salinas in the Guanacaste region of Costa Rica. At our resort enjoy the comfort of our fully equipped villas, bar-restaurant, the exuberant beauty of untouched beaches, as well as the jungle and wild life. This part of the country is known for its beautiful beaches and ecological protected areas. Surrounded by the National Parks of Santa Rosa and Rincón de la Vieja Volcano, we are a fabulous option for those who love the peace of nature and the beautiful pictures of the beach. Your Resort Condo Awaits – Coastal Travel! In your Coastal Travel Package Level 2 (Premier) awaits many Vacations such as this one. 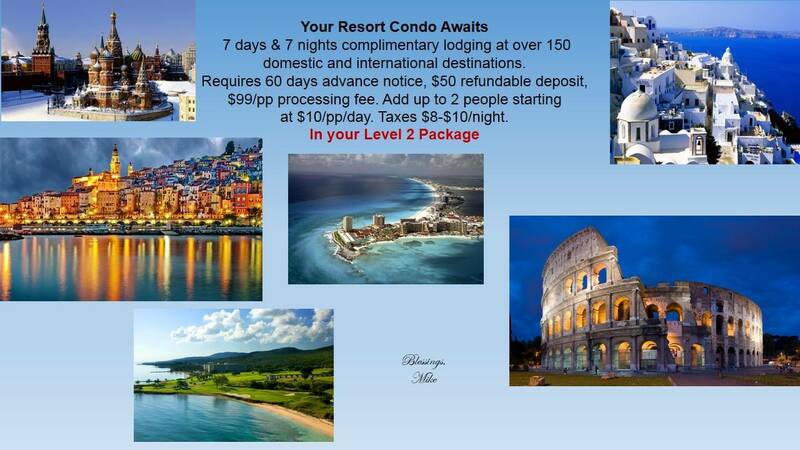 7 days and 7 nights complimentary lodging at over 150 domestic and international destinations. Requires 60 days advance Notice, $50 refundable deposit, $99 per person processing fee. Add up to 2 people starting at $10 per person/per day. Taxes run 8-10 dollars per night. I’d Love to hear from you.. Leave me a comment below and let me know where you’d like to go on Vacation!! Located in the Berkshires, the Wyndham Bentley Brook Resort in Hancock, Massachusetts is the ultimate summer or winter ski vacation retreat. Are you considering staying at the Wyndham Bentley Brook Resort in Hancock, Massachusetts? Photos courtesy of Coastal Travel Vacations. Are you searching for the best price on the Wyndham Bentley Brook? If so, you’ll want to discover how you can do that without date restrictions for 50-90% off retail one-time use vacation stays. And you DON’T have to own the Wyndham Bentley Brook timeshare to be able to stay there! And… you get stay for up to 90% off published prices on the search engines. I had some time in September and wanted to take a trip. That lead me to searching for resort properties (inside of a prestigious family travel club I belong to) in the New England States as I’ve always wanted to visit there but for whatever reason, never got around to it. 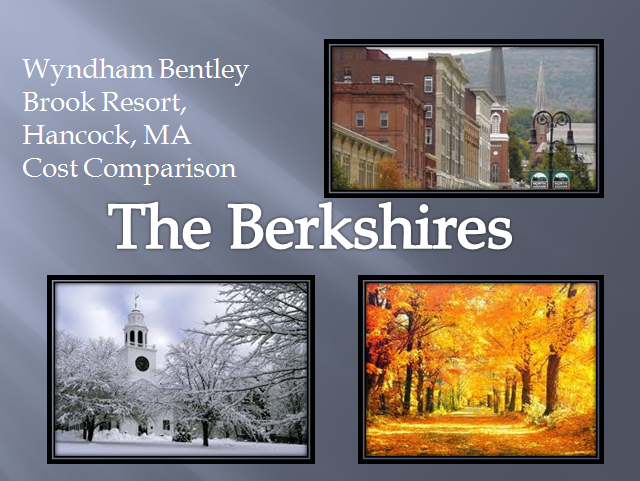 I saw there were some weeks available for a Berkshire area resort called Wyndham Bentley Brook. In reading about the resort and things to do in the area, I knew I wanted to visit. I love to hike and explore the outdoors and the Berkshire area seemed to be the perfect match. There’s a lot to do and many places to stay in the Berkshires. I contacted the Wyndham Bentley Brook resort directly and spoke to the woman who answered the phone as well as was transferred to the man in charge of internet connections on site. Because my vacation will be woven with a few hours of work and I needed internet access, I wanted to know about the connection availability. I was assured that connecting online from my room would not be a problem and in fact I was told that they just upgraded their internet system. The internet service both in the room and on site is free. If you travel at all, you know that’s a very nice benefit. The staff were both very kind and highly service conscious and helpful. I took a stroll over to TripAdvisor to see what people were saying and found raving reviews for the Wyndham Bentley Brook Resort. I shopped around the major search engines like Expedia, Travelocity, and Priceline to see what the rates were and the best price I found was $315/day. You can image how happy I was to see that I could stay the entire week using my membership for what I almost pay per day through a one-time use purchase on the best search engines and travel provider sites. I booked my Wyndham Bentley Brook resort stay through my private membership. I was able to reserve a two bedroom, 2 bath condo for just $299 in about 5 minutes. When visiting and or staying at the Wyndham Bentley Brook Resort in Hancock, MA, you are located beautifully near the area’s top outdoor recreation activities. During snow season, ski or snowboard down the well taken care of trails at the Jimminy Peak Mountain Resort. In planning my trip, I discovered there are many adventurous day trips and activities near by such as white water rafting, hot air ballooning over the Berkshires, ziplining and even Boston is just 3 hours away. There’s plenty of R&R right at the resort and if you just want to spend the week unwinding, you have everything you need right on site. Below I’ve listed the Features and Amenities for you to scan through. When vacationing at a condo resort with full amenities, it’s truly a home away from home. Inside is warm and welcoming you, you simply bring your clothes and food and move in for the week. Once you stay at a resort like the Wyndham Bentley Brook, you never want to go back to a hotel or motel again. Here’s a photo of the living and dining area. The unit I booked is the two bedroom condo that sleeps 8. I’m traveling with only 2 family members so we’ll have plenty of sleeping space with room to spare. For the greatest traveling comfort and conveniences, not only will we enjoy the two ultra-spacious private bedrooms and two over-sized bathrooms, but we will have a washer and dryer AND fully equipped kitchen for additional travel savings. We love to BBQ so I’m sure will throw a steak on the grill a time or two. Here’s the floor plan for the 2 bedroom Wyndham Bentley Brook. 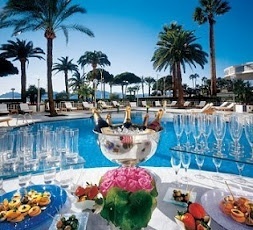 I love Wyndham property resorts and am looking forward to my trip. I’ll come back and write another blog post to share my experience and bring you back some great Berkshire travel tips! And, I’m already off to a good start because with the savings on my resort stay, I can buy my airline ticket, my rental car and gas, theater and museum tickets, pay for white water rafting and all my food. That’s unbelievable and exactly WHY I’m sharing this with you. Every family should own this membership as it will cause them to travel more. Inside the Coastal Travel club membership, the Wyndham Bentley Brook Resort is just one of over 5,000 worldwide. You and your family deserve to discover the world, take on adventures and create lasting memories. Have you stayed at the Wyndham Bentley Brook? If you have stayed at the Wyndham Bentley Brook, I’d love to hear your feedback. Leave me a comment and share. Ready to start taking vacations on the cheap? Join Coastal Travel Vacations Club HERE!! 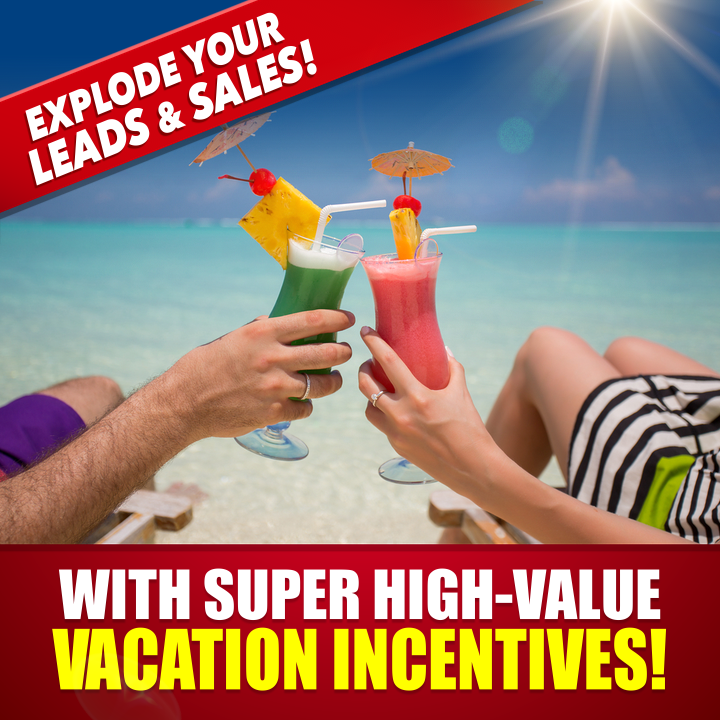 Want to Learn how you can Earn 1K up to 9K selling these Coastal Travel Club Memberships? Click Here!! Ahhhh… the thought of being on vacation, away from the cares of the world and the voice of your boss and co-workers. You decide to take a vacation and you call a family meeting. Together, you decide where to go. Excitedly, everyone runs to the internet to find out what there is to do in the area you all agreed on. You discover there are museums, specialty shops, art galleries and wineries. The family wants to take a carriage ride and go horseback riding. With spirits high, you set the date and put it in stone. Now you just need to secure accommodations. Not too long ago, vacationers would go straight for the hotel directory as common practice. However, today’s savvy traveler is demanding more amenities and room to spread out, especially with children and they have discovered HOW to do that, oftentimes for less money per day. The truth of the matter is however, that most people don’t know just how affordable the resort lifestyle can be and truthfully, they don’t even think about a condo resort because they don’t know they exist for them. I didn’t. When I booked a vacation, the words my family used, therefore I did too when my kids were growing up, were “hotel” and “motel”. Those little compact rooms where everyone crammed in. To take that a step further, the idea of staying at a nice timeshare resort didn’t come onto the radar… isn’t that for people who own those expensive money sucking things? Breaking news…. if you know where to look, you’ll find the hidden path to staying in timeshare resorts WITHOUT…. …. but yet you can stay there. You pay for JUST the week you go and you pay less than the owners who own the timeshare! Really. 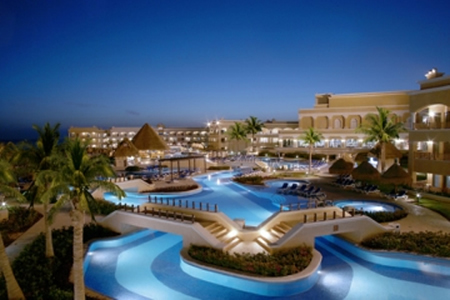 Most resorts offer condos rather than hotel rooms. This is a fabulous option for vacationing. And, be warned… once you’ve vacationed condo style, you won’t want to go back to hotels. Hotel travel is very space restricting. Fights over who get’s the chest of drawers and who lives out of the suitcase. No place to fix meals or store food. No place to get away from each other for naps, quiet reading, privacy, television watching. Even fixing a cup of coffee with hotel coffee pots is fumbly. Constantly stepping over suitcases, shoes and ‘stuff’ everyone brought along. It’s a mess! Sounds like fun, eh? There’s nothing about a small cramped stuffy room that sounds like a vacation. So what happens then, is people don’t take in account that the accommodations is part of the fun. But the good news is now they can. Once they know they have options, vacations take on a whole new meaning! Let’s compare that resort condo travel accommodations. Condo travel is really a home away from home. Depending on the number of travelers in your party, you can enjoy studio, one, two, and three bedroom condos accommodating as many as 8 people to a unit. Look at the pictures below. These are pictures from various condo resorts. You can see how it truly is a home away from home. Fully furnished. When you arrive at your condo destination you unpack and put things away just like home. You have entertainment centers typically in every bedroom. You have a fully equipped kitchen with all your major and small appliances, your dishes, cookware, baking dishes and utensils. Most have washers and dryers. It’s really, just like home. Just bring your clothes and food and move in. Everyone has their space, sleeping area, dresser drawer, and closet space. Nobody is bumping into each other, sitting on beds all day and feeling cramped up. While the idea of eating out all the time sounds like fun, in reality, it can get very expensive to do that, especially with a large family. Just making your own breakfast and packing some sandwiches for the road that day can help tremendously for families on a budget. Plus there’s just nothing like getting up in the morning and putting on that pot of coffee or brewing that first cup of tea without having to shower, shave and shine to go out. It’s very enjoyable to get up and relax on your porch, watch the news, have your breakfast and then head out for the day doing whatever your vacation calls for. Most vacation condos will offer maid service for an extra fee. Certainly if you run out of towels, soaps, etc., housekeeping is happy to run those over to you. Many people find it’s no big deal to throw the dirty dishes in the dishwasher and make their beds, or simply leave them unmade for the week. Whatever is going to allow you to relax and be comfortable is they way to go. If it’s maid service, just check with the resort and make sure those services are available at the time you wish to make your reservations. If you find yourself taking a vacation at least once a year, you may want to consider joining a Coastal Travel club membership. Coastal Travel Vacations – Travel club membership has an initial fee to join (all memberships do) and then you simply pay per use. As a member of Coastal, your benefits include deep discounts for weekly stays. For example, a 7 night 8 day resort stay will start at $199. Locations are worldwide and currently have over 5000 3 and 4 and 5 star resorts to choose from, most of which are condo style.